Salesforce AppExchange is Salesforce’s cloud computing store. It’s used by developers and independent software vendor (ISV) partners to sell the apps they’ve built on the Salesforce platform. Salesforce built AppExchange for enterprise to provide everything from point solutions to full-blown professional automation apps empowering them to achieve measurable business goals in the cloud. Salesforce AppExchange products come in two flavors: Managed packages and unmanaged packages. 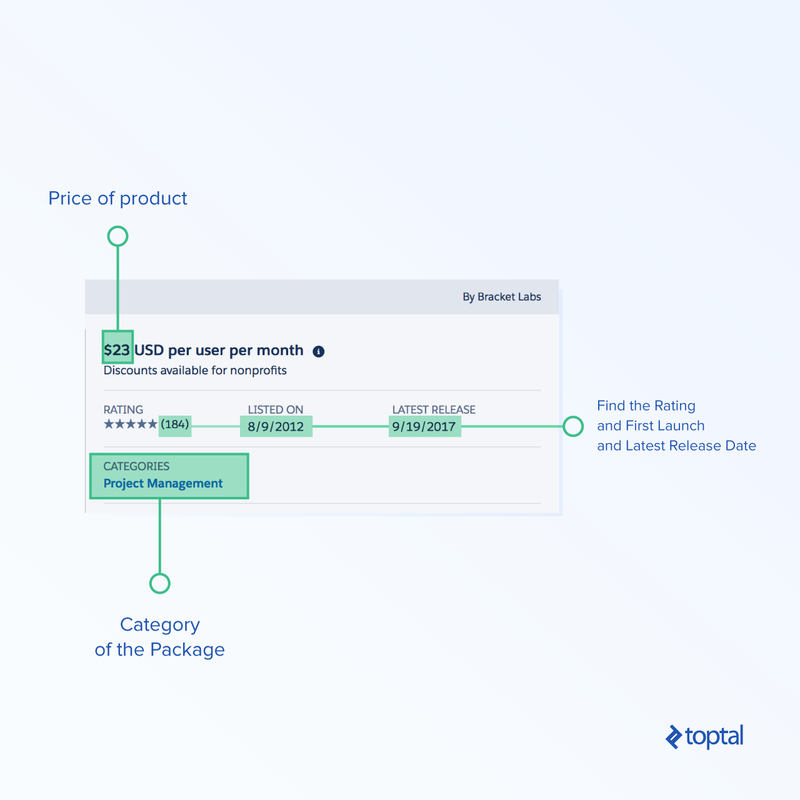 Unmanaged packages are typically used to distribute open-source projects and applications so that developers have the basic building blocks of functionality. They can then later build additional functionality on top of it, or make a modification to the project based on their requirements, e.g., business logic. Once it’s distributed, an unmanaged package cannot be upgraded. Managed packages are typically built by Salesforce ISV partners to sell and distribute their applications to customers. These packages are created from Salesforce Developer Edition organizations. Managed packages are fully upgradable. The customer installing the package cannot see or make changes to Apex code that is part of a managed package. You don’t have to build any functionality from scratch. You can just download a pre-built solution, which is more secure and already tested by other users. You don’t have to invest development and maintenance costs, as paid apps are often improved and enhanced by their providers. There’s only the time investment of searching for an existing app and implementing it, either yourself or with the help of an expert. 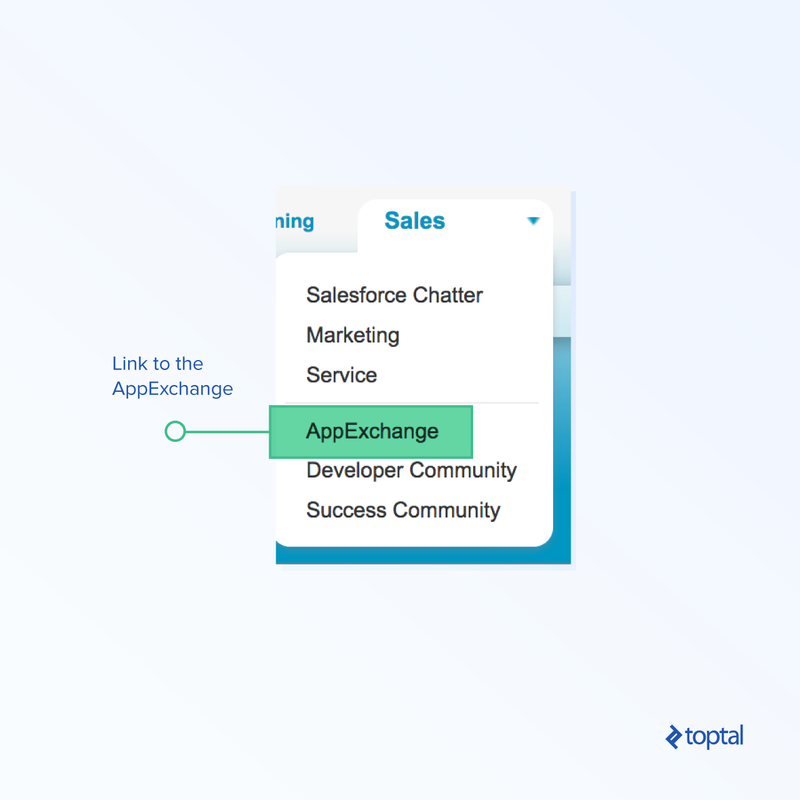 How Are Organizations Using Salesforce AppExchange? 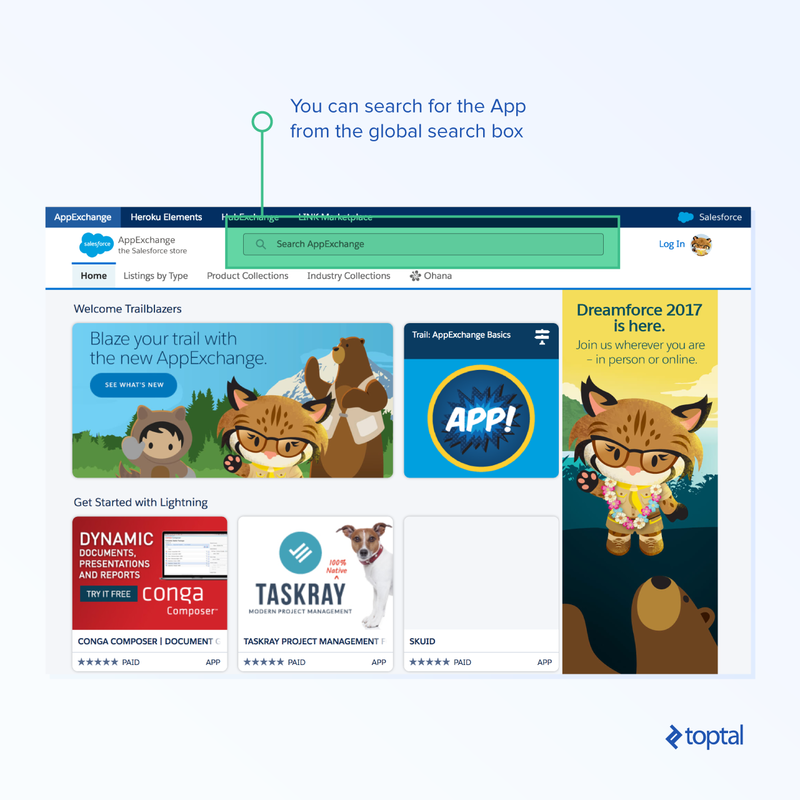 More than 3,000 apps are available today on AppExchange. 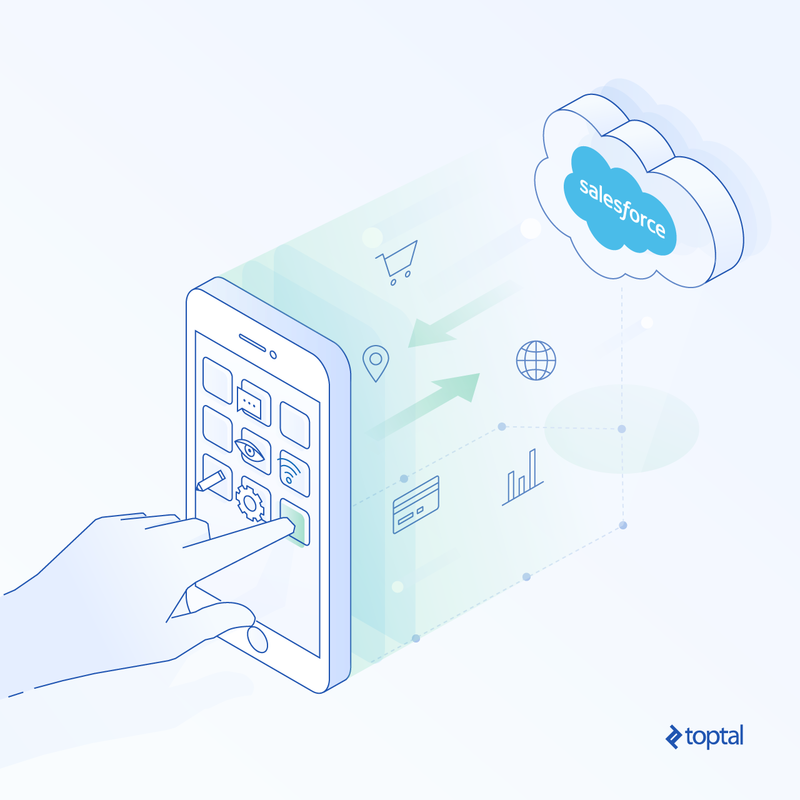 In 2016, 85 percent of Fortune 100 companies were connecting with their customers with at least one Salesforce AppExchange app. One very handy aspect of AppExchange apps is that each installation applies to only one Salesforce instance. This means you can easily run extended tests and training on a new app in a sandbox instance first before rolling it out in production. Currently, AppExchange apps in total have more than 3 million installs. This makes it an attractively comprehensive source of social, mobile, and cloud-connected apps for businesses. If you’re an ISV partner, Salesforce allows you to turn your idea into a business by building an app on the Salesforce platform and selling it to potential customers through their partner program. As a Salesforce customer, you might end up in a situation where you need to build some functionality not available by default in Salesforce. If you are short on time or otherwise don’t want to build the solution from scratch, AppExchange is the right place for you. Getting started with AppExchange is literally as easy as one-two-three. You can always go to Salesforce AppExchange yourself or by Googling sfdc. However, the AppExchange link in your Salesforce environment (under the Apps section) will log you in directly so you’re ready to install apps. Now you can search for the app you want to install in your environment. Price of the product. This is charged monthly or yearly and is based on the number of users using the app. AppExchange also gives you the functionality to watch a demo or even take the app for a test drive. This lets you easily review the overall functionality of the product and decide whether it’s one you want to buy and install. The test drive in particular lets you review a fully functional demo of the app as a read-only user, which can be helpful for planning your implementation. Salesforce admins can choose to install an app published to the AppExchange. 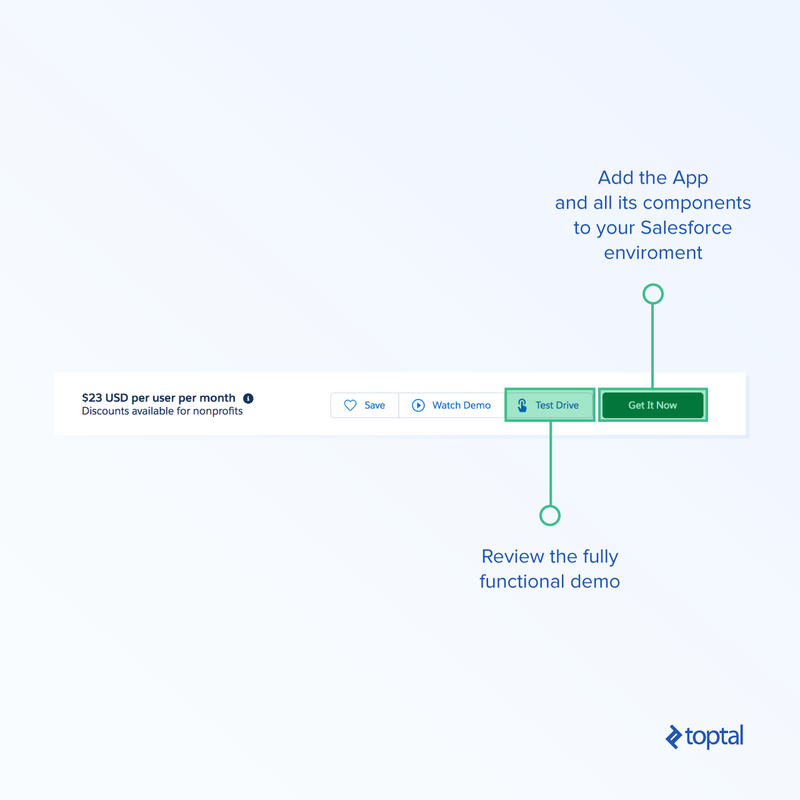 Installing a published app from AppExchange is safe and simple: Just hit “Get It Now” to add the app and all its components to your Salesforce environment. In my experience, these are some of the most helpful and most requested apps. With this app, users can easily create and deliver fully customizable Word, PowerPoint, Excel, HTML email, and PDF form output. This is often used to make proposals, account plans, invoices, quotes, contracts, etc. from Salesforce data. I have used Conga Composer for so many different projects—from mailings to formatted reports—and in every case, it has reduced a process that used to take hours down to a single button click. This free, simple app for the popular MailChimp service gives you the ability to create email campaigns and manage your lists and subscribers, all from within Salesforce. One of the best features of this app is that it adds a Visualforce component to your Lead and Contact records, giving you the ability to see their interaction with your marketing emails. With Rollup Helper, you can get aggregates (count, sum, min/max, etc.) out of any Salesforce data without any of the custom coding that would normally be required. This app has helped me on many projects where there has been a need to look up the relationship between objects and to replicate the functionality of a master-detail relationship—for example, when looking at an Opportunity and its Opportunity Line Items. Normally, such relationships require writing custom logic in triggers on a child object. The programming has to cover what happens after insert, update, delete, and undelete events. With this app, I’ve been able to implement the same functionality simply with a few clicks and a bit of configuration. DupeCatcher enables users to deal effectively with all sorts of data that are prone to duplication. This is done in real time, at the point of entry, and gives users full control in order to avoid the possibility of data loss. DupeCatcher is used by almost every client I know to maintain good data quality in their organizations. Perhaps not every solution will be this easy, but Salesforce AppExchange apps offer huge potential in helping you run your Salesforce organization—and your business—better and with less hassle. Now, when you go looking for the best app to catapult your company into success, keep these three things in mind: cost, scalability, and functionality.